The Project Management Association was established to provide information and training options for project managers at every stage of their career. We offer a resource where project managers can compare and contrast potential certifications, understand eligibility requirements and select a course that is relevant to progressing their career. We provide quality-assured training, in-line with widely recognised, global good practices. The Project Management Association is a specialised, project management-focused branch of Professional Development. 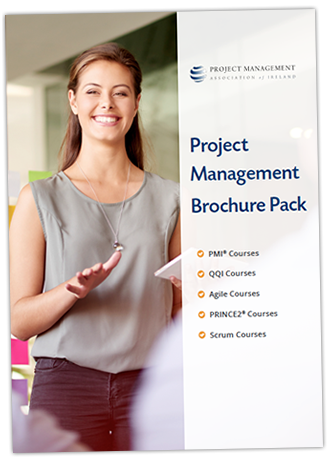 We have been a leading provider of project management training in Ireland for over 26 years. This means that we have been reviewed and approved as a provider of project management training by the Project Management Institute (PMI)®. Our trainers are credentialed project managers, skilled at delivering project management training in an approachable, practical manner. We also choose to work only with trainers who have extensive experience working on and leading projects.